Our product range includes a wide range of steam super heaters. Innovation is our forte and manufacturing, trading along with supplying of Steam Super heaters from our side is a strong example of the same. These are used to convert saturated steam or wet steam into dry steam and are widely applicable in steam engines or in processes, such as steam reforming. 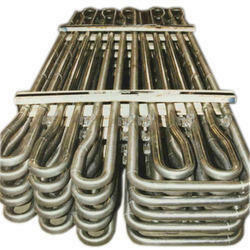 We offer radiant, convection and separately fired variants to our customers.